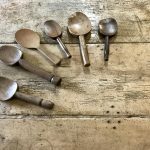 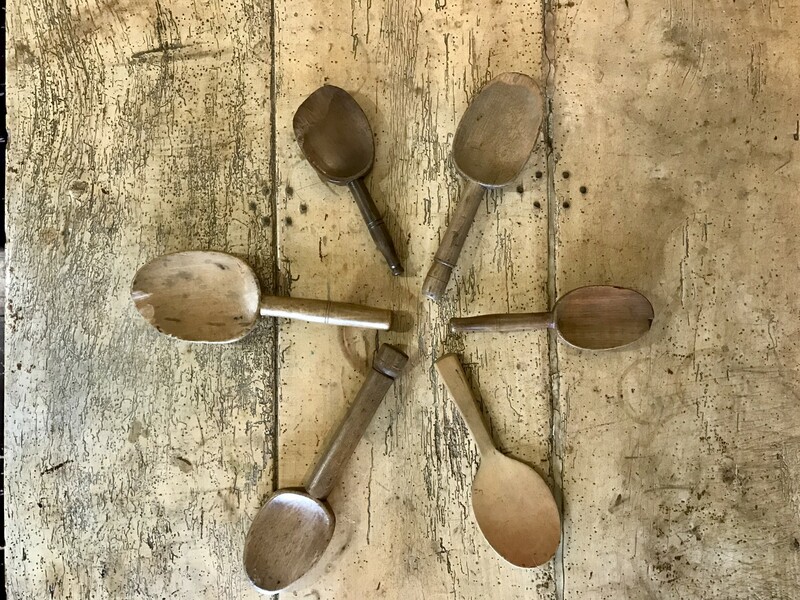 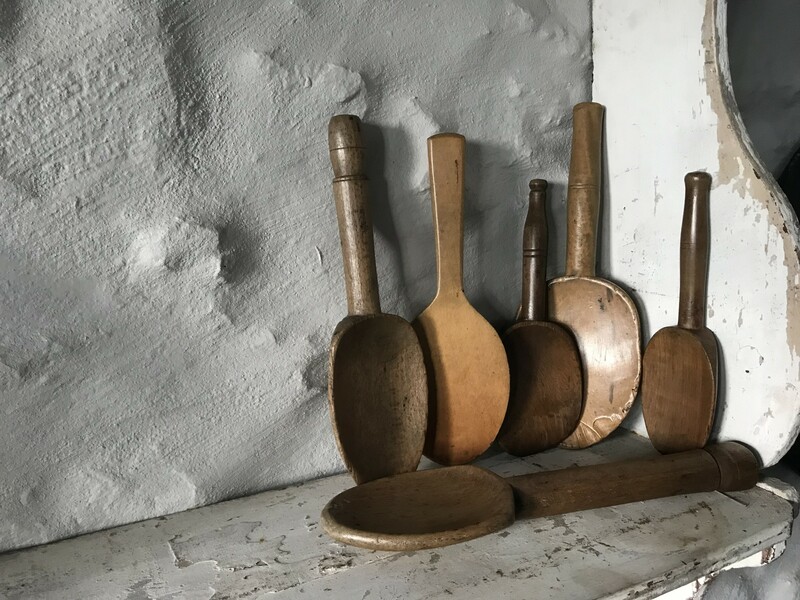 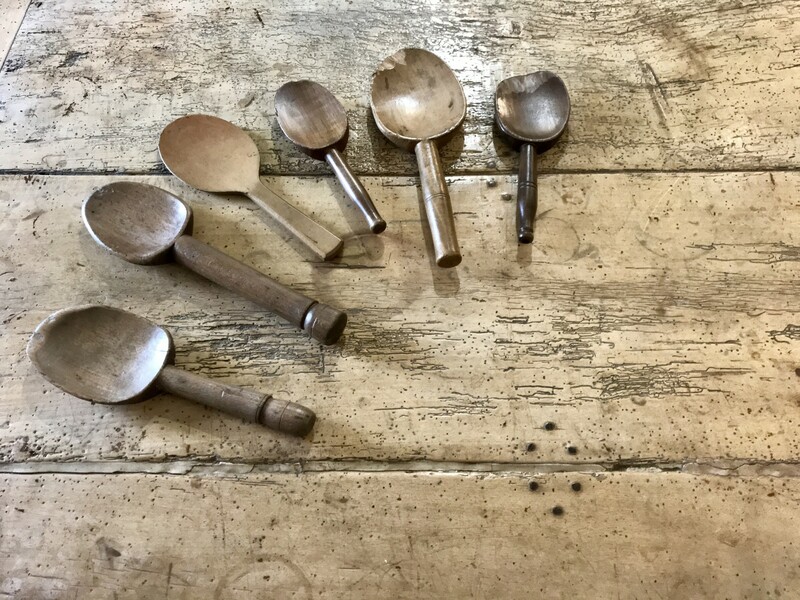 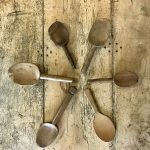 A collection of six 19th century French butter spoons. 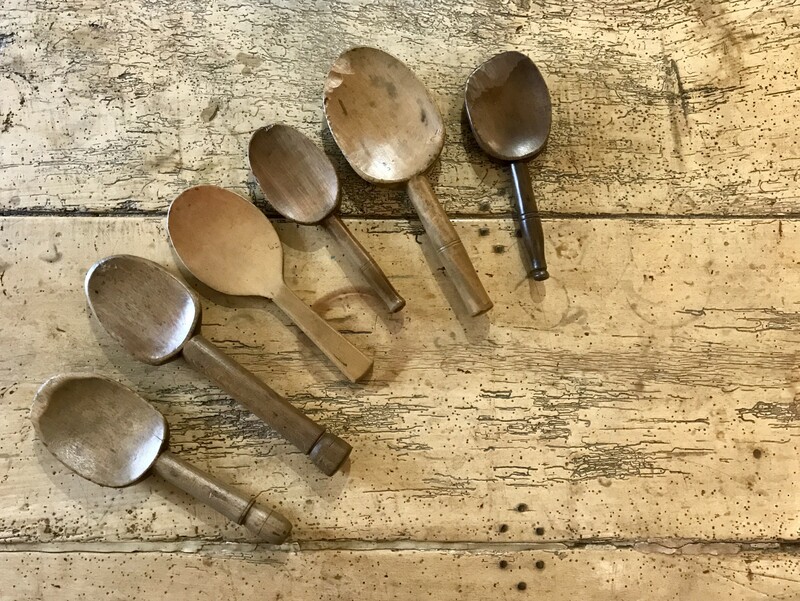 Five are made of beech & one from box-wood. 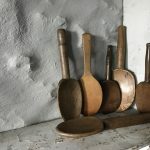 Well used with some worn edges and wonderfully tactile.